I have a Kindle Fire and just recently found the 8GB capacity a challenge in storing media especially movie files. No option now for other higher capacity Kindle Fire model, maybe soon? Well, Kingston Wi-Drive is an option. It seems Kingston also has the same problem so they created a solution to extend the storage capacity wirelessly of iPad, iPod, iPhone and now recently Kingston released the Kingston Wi-Drive app version for Amazon App store and Android. Why do you need a Kingston Wi-Drive? 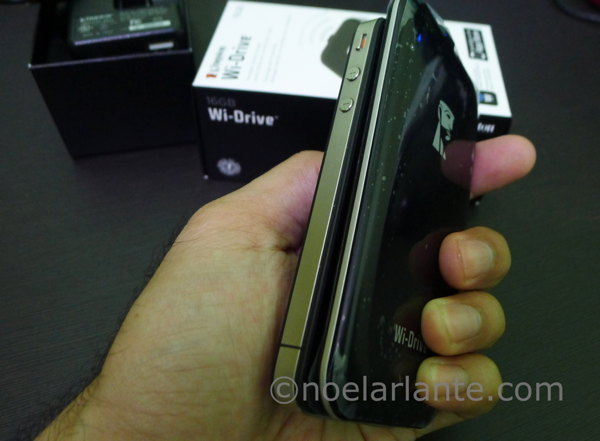 Kingston Wi-Drive size comparison to iPhone. Kingston Wi-Drive just a bit longer. Connect the Kingston Wi-Drive to your PC/Mac using USB cable that came with the box. It will appear as another drive. Copy your files to the root folder. Download the Kingston Wi-Drive App from Apple App Store, Amazon App Store or the Android Market depending on your device. Home screen of the application will show the files you have copied to the Kingston Wi-Drive. 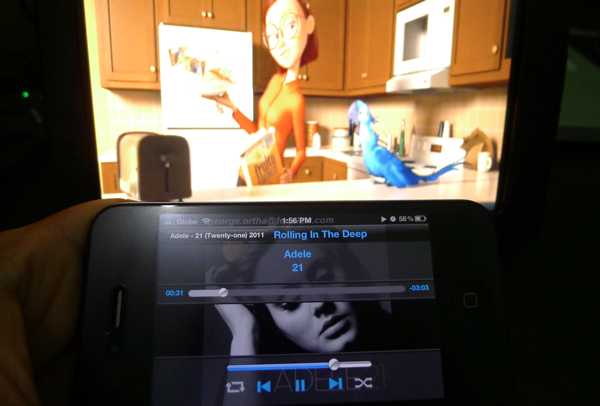 You can see that I’m playing a video on my Kindle Fire and playing a song on my iPhone 4. Both media streaming from the Kingston Wi-Drive. Works smoothly! 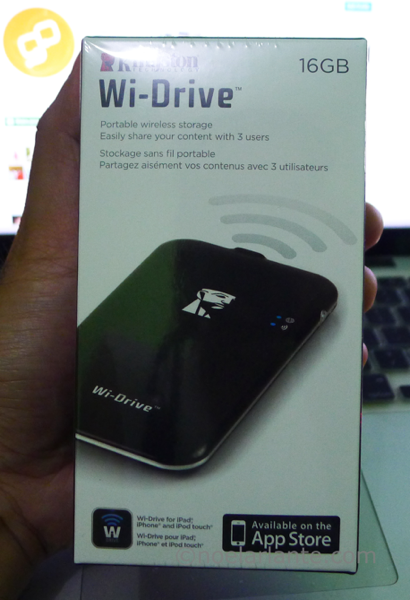 The Kingston Wi-Drive is really lightweight and can easily be carried in your pocket. I’m just concerned of the way it gets hot when in use. Just do not put it in your pocket for hours when in use. Now a desktop application for Windows and Mac would be cool. That way you can easily back up your desktop files over wifi (mobile NAS) without the need for USB port or internet access for cloud storage. I got it for 3,500 pesos for 16GB. There is also a 32GB for 5,000 pesos. Search in sulit.com.ph or other local online stores.